When AKAI Pro first asked who wanted to review their new MPD MIDI controllers, I put my hands up for them quite excitedly. Fast forward two days later, and an unannounced notification of shipping landed in my inbox for Ableton’s Push 2. Understandably my head was turned and the next month or so saw me hardly touch the MPDs. So as to reach an objective point of view, for I put the Push 2 back in its box for a while and tried to exist solely with the MPDs. This plan was based on the idea that I wanted to give them a fair shout, after all when retail prices are compared they aren’t in the same league as Ableton’s flagship! In each box came the obligatory USB MIDI Cable for hooking up to my Macbook, a MIDI breakout cable for hooking up to modular gear, a 13 page user guide, a copy of Ableton Live Lite and in common with recent AKAI Pro controllers I’ve owned a set of download codes for product from AKAI Pro’s partners. Now normally I’d just move on past the included software but I felt for this review that it was right to take AKAI Pro up on their offer and download the lot. It is after all how they market the controller with large flashes proclaiming what’s provided on 4 of the 6 sides of the box. I’m assuming the premise is for the beginner starting out, maybe without a DAW (use the Ableton Live Lite provided) and a lack of samples (use the Big Bang Universal Drums), with the intent that with around twenty minutes of download time you can quickly begin mimicking AraabMUZIK twisting together the beats to drive the whole crowd wild. Lay the MPD232 side by side with the APC40 MKII and much is recognisable, from the red plastic base to the recessed faders and clicky LED lit buttons. The overall feel isn’t one of a high quality boutique controller but one that’ll see you through a few years on the road without giving you much reason to worry. It’s not built like a tank, but then tanks are heavy, and when you’ve got a complex set up to travel with, sometimes light is best. The MPC pads are legendary and they make their appearance here in their latest form, black printed with clear sides that let the LEDs show which bank you’re in control of. I prefer this approach over something like the pads on the LIVID base which let the LED shine through the surface, albeit unevenly. As you’ll see Mark’s photos showing off the layout of the controller already it’ll be best to focus on what each area does. I use my Dad’s principle which was to not read the manual unless it was actually necessary. He always had my brother and I to figure out the hard stuff. Sadly my kids seem to be stumped when the power cable is pulled out of the Xbox so this was a solo mission. You get a set of transport controls which (when the appropriate Control Surface is selected in Ableton Live’s preferences) handle the standard, stop play and record. The additional button is dedicated to Sequence Recording whereby you can define up to 32 steps and record what’s triggered on each step. Getting notes into the onboard step sequencer is a simple task of either clicking the row of 16 buttons beneath the faders (you can switch to enable access to the second set of 16 steps with the 17-32 labelled button), or alternatively you can play your rhythm directly from the pads. In each case the controller provides quantization to its output. Once your steps have been recorded you can use the Global Dial and LCD screen to work your way through fine tuning the velocity for each step and note. This is a bit painful to be honest, and I’m not sure I’d be spending much time doing it from the controller. Most of the time I found myself laying down a rudimentary rhythm and then recording it to a MIDI clip for editing later. After a long time of playing with the controller, it’s fair to say that I’m struggling to see the point of the faders as there appears to be no way to move what the focus is in Live beyond the first 8 tracks. There’s not even a Rec Arm set of buttons so you’ll have to map them yourselves. After grumbling about it for a while, I realised that one of the upsides of the unit is therefore its edibility, given it’ll send MIDI cc out of most of the buttons you can get to work in your DAW and start to define mappings that suit your own workflow. In about half an hour I had two templates set up. The first used the Rec Arm buttons as above to select which track out of 8 would receive the notes from the pads and then I could cycle between the 4 Pad Banks to give me up to 64 drum samples in each track. The second was a more stripped down version whereby each of the Pad Banks would control a different track (each were permanently armed for recording) due to the nature of the unit sending each Pad Bank on a separate MIDI channel. In this second template I had a little bit of work remapping the notes sent out from the pads so they’d trigger the right samples in my Drum Racks, it’s true though that I could just have easily dragged my samples into the corresponding slots that were triggered but I appreciated the flexibility to do it how I wanted making my standard drum racks quickly and easily swappable. I’ve been using a Novation Circuit Groovebox recently and I’ve become used to building sounds up in layers and then muting parts to create an arrangement, I’m yet to find an easy way to do this with the MPD within a single track. If I want to for example mute just the kicks, it seems the paradigm with this controller is to use the faders to control the volume. I was then disappointed to learn when I’d expanded my drum rack into tracks that I couldn’t then control the volume of each track in the group as I expected to be able to, maybe I’m being picky but all of the controls seem ultra spaced out and the addition of a simple MUTE option would have paid in droves for this otherwise capable sequencer. Syncing Live to the output of the MPD was relatively simple. I needed a little bit of tinkering to get my notes recording into clips on the right mark, but once done it held the tempo solidly over a number of hours. Syncing the other way still seems a mystery to me though — if I want to use Ableton as the master tempo and MPD as a step sequencer I don’t seem to be able to. I’m just off to Youtube to find out if I’m being an idiot… I am. Clicking through the pages of options for the preset there’s a clock source option — switching across to external rather than internal and I’m good to go. I can quickly get a sequence up and running with the internal sequencer but then when I want to switch to a new track there seems to be no way of quickly deleting the sequence I’d worked on to produce a new one from scratch, it’s quite laborious to go through each pad and delete the steps one by one. It’s at this point that with a MIDI record quantise setting of 1/16th I started simply saying down my beats into clips in Live rendering half of the MPD232 a little bit pointless. I can totally understand the appeal of the 232 to control external hardware, drum machine or something analogue in nature but when used with Live it for me seems a bit of an overkill. And that’s where the MPD226 comes in. At first I’d discounted the 226 on the basis that bigger is obviously better, I was wrong clocking in at about two thirds the size of the 232 the 226 allows me to carry another controller for clip launching in the same space in my bag. It’s really the MPC pads that both controllers shine out for, the size of each and sensitivity meant I could easily record bongos without having to spend an age correcting velocities to make them feel more expressive. As before you get 4 sets of 16 pads to play up to 64 different samples (the same as the Push) and the note repeat functionality which you can set to 1/4 down to 1/32 allowed me to keep my kicks in time and my snares to roll around a bit to give that human feeling. 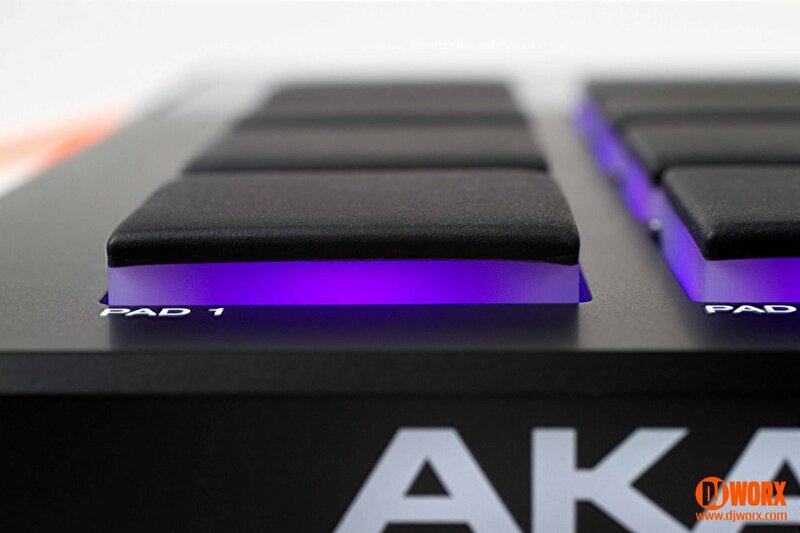 The pads come with two modes, Full which has each pad trigger a different note and therefore sample, and the 16 Level mode which takes the previously triggered note and gives 16 different velocity levels across the pads for the one note. This is awesome for playing hi hats and the like if you’re a bit clumsy fingered like I am. You get half the channel strip controls with 4 volume faders, I mean that’s 4 x 64 samples to play so this for me is plenty! The biggest minor point in comparing the two controllers though is whilst the 232 comes with 8 encoders for blue hand control with up to 3 banks giving 24 available controls, the 226 only has 4 encoders and three banks so becomes fairly limited if you were intending to use the controller with a VST or Instrument other than a drum rack. Given the controllers main intent and the limitation of drum racks being restricted to 8 macros you’ll probably find it’ll be enough for your usage. In wrapping up, I’ve actually really enjoyed my experiences with the MPDs, the end result isn’t one I was expecting as I’m generally leaning towards more control than less, and in this case the star of the bunch is the MPD226. Given that its price point comes in at the same as the MPD26 that it replaces, you get a similar feature set and those awesome pads. For me without a great deal of outboard gear (none) the MPD232 was overkill whilst the 226 hits the sweet spot of playability alongside a simple set of controls to add to my setup. 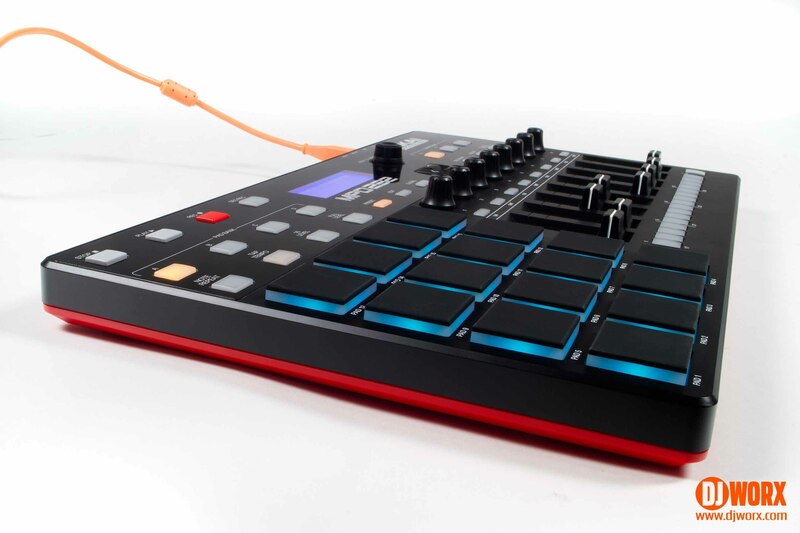 I reckon in a couple more cycles now that Ableton are producing the Push 2 themselves we’ll see a truly killer Ableton controller out of AKAI Pro with the lovechild of the MPD and APC range combining what’s best in both in one lethal combination. For now though, and APC MINI and an MPD226 will do me just fine!